The official drop these springs are advertised as is 20mm but in our experience the actual drop is a little more, we measured these at 35mm front and 30mm rear. This will of course drop the nose a tad more than the rear and will give a very nice look but we think it can make the car a little 'crashy' over speed bumps and hard bumps. The Eibach special edition Blue springs dont drop he car as much as the H and R at the front, at 25mm lowering rather than 35mm lowering they are our choice and are cheaper. The Pumaspeed Workshop team are ready to fit the Mk3 Focus RS H&R 20mm Lowering Springs in our Head Office located here. Therefore making parts and labour a total cost £382.48 (inc. VAT). 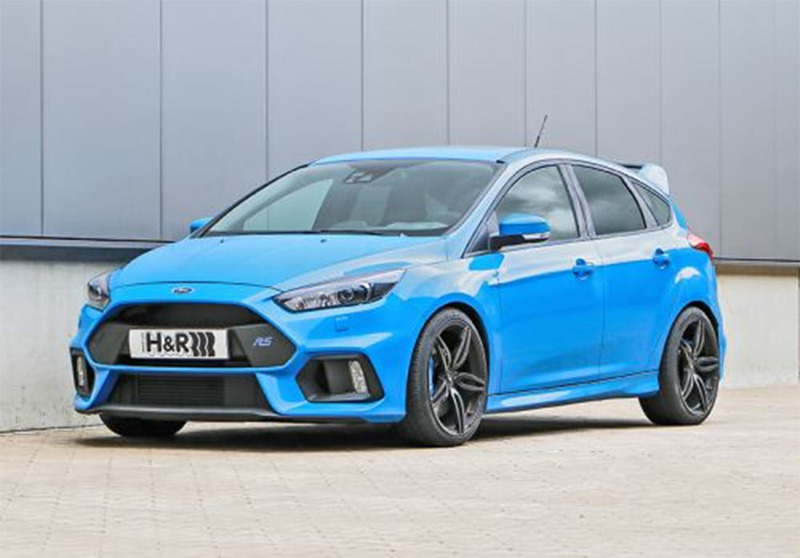 Pumaspeed have a specialist distribution team that can dispatch the Mk3 Focus RS H&R 20mm Lowering Springs to any destination worldwide.